Together with From One Hand to Another, Pharrell is auctioning off 1 Pair of the Y-3 YOHJI BOOST, Limited to 500 Pairs Worldwide. The pair is a special take on the recently released Adidas Boost, and features a touch by the folks at Y-3. Check out the auction and Put Your Bids In! 1 pair of the Y-3 YOHJI BOOST, limited to 500 pairs worldwide. 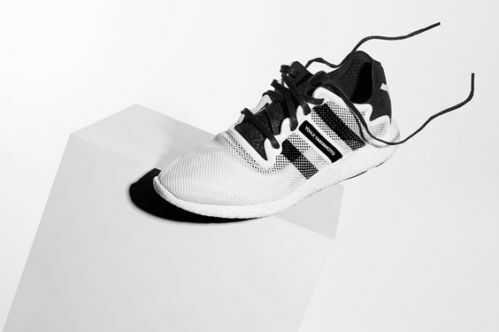 Sleek and flexible, the Y-3 YOHJI BOOST offers great comfort and cushioning with adidas‘ revolutionary BOOST™ technology. Be one of the first to wear this unique Y-3 take on a adidas performance design. Prize will be sent to winner within approximately two weeks time after the competition closes. The prize is a pair of Y-3 YOHJI BOOST shoes in the winner’s size. Anything not specified in this description as being included in the prize is excluded. The prize is not transferable for cash. Please note – to claim shoes correct size must be provided.